Daily event self-parking parking rate is $15 for 8 hours. Overnight Self-parking is available at the rate of $26.25. Overnight valet parking rate is $29.25. 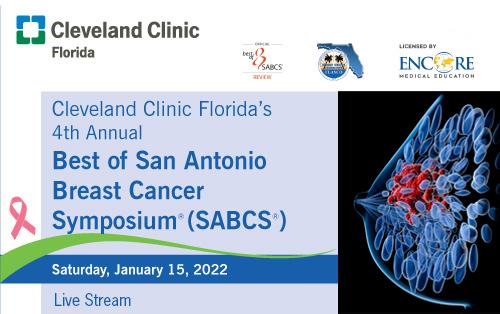 For further information about this activity, contact the Cleveland Clinic Florida Center for Continuing Education. The Cleveland Clinic Foundation Center for Continuing Education designates this live activity for a maximum of 4.75 AMA PRA Category 1 Credits™. Physicians should claim only the credit commensurate with the extent of their participation in the activity.